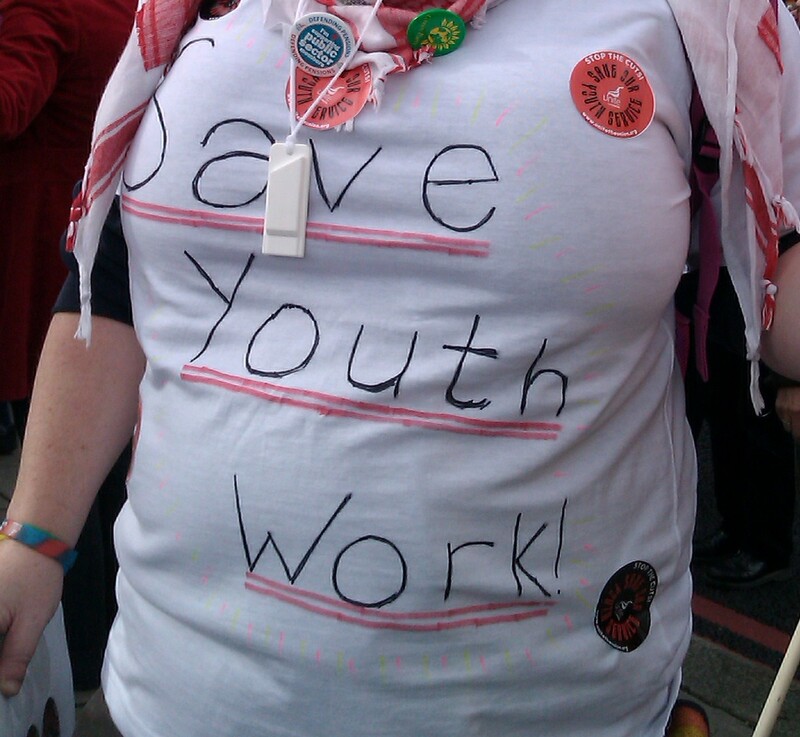 Too late to march for the future of youth work? On Saturday, I travelled over to London to join 149,999 other people to march through central London. All the usual groups were there – unions, public sector organisations, politicians, campaigners, activists, anarchists – and together we walked through the streets of London to Hyde Park, where speakers at the rally talked about the actions of the government and how everyone was being screwed. For me, it was definitely exciting to see so many people who are so angry enough with the way things are to travel across the country by the coach-load to shout and wave banners. But what now. There’s been calls for a general strike, sure, but for me personally it definitely made me think about my profession and what’s going to happen with it. 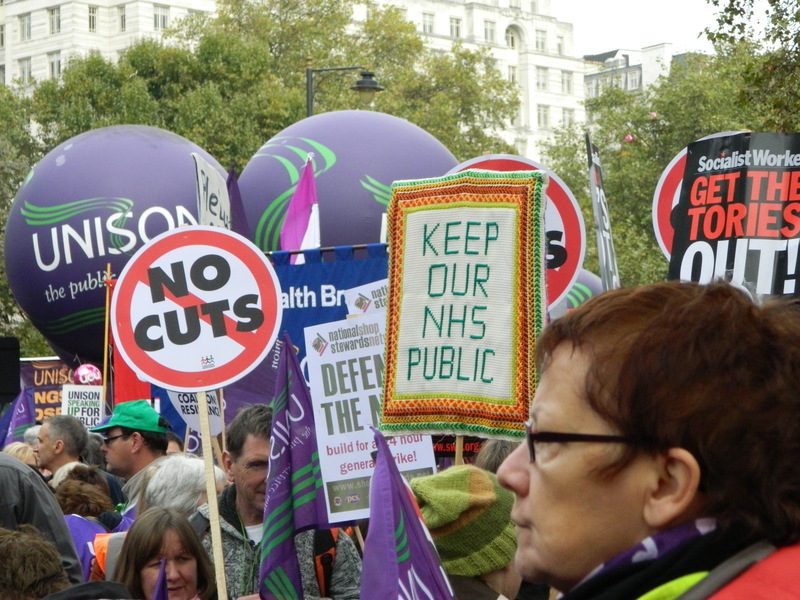 Balloons and placards called to save the NHS, protect teaching and nursing and all of those essential public services that means we can function in society. But what about youth work? 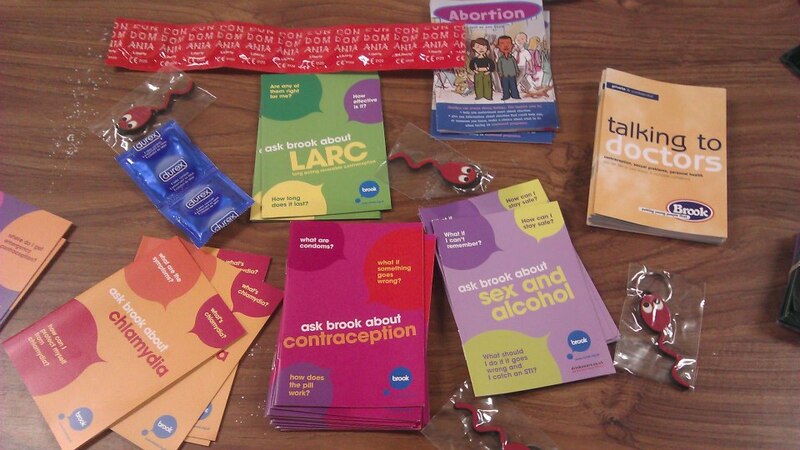 Well, youth work’s already gone. Who has a youth service any more? They came in and wiped youth work away before people were able to react and shout about it. Granted, some places did create a lot of fuss and did a lot of work to save their youth service but a lot of the time? It was taken away before anyone had really noticed. And that’s terrible. That’s really terrible. A support network for young people all over the country just gone, with no big fanfare and barely any consultation (or tokenistic consultation at the very best). To me that just shows the way young people are thought of. We can just take away their services. No big deal. My t-shirt for the march. We’re living in a very different culture now, as youth workers. And it’s up to us to jump and shout now and draw attention to what’s happened, and draw attention to how things need to progress from here. Youth work is already in danger of becoming diluted with other services, so if we don’t work hard to keep youth work as a vitally important profession as itself, we risk losing it completely. That’s why I’m hoping people will take part in Blogging for Youth Work Week in November, that’s why youth workers need to be championing the fantastic work they do and encouraging other youth workers to do the same. Going on the march was a great experience but lots of people have said it’s pointless. That marching will achieve nothing. Well, maybe not directly. Cameron will not look out his window in Parliament, see thousands of people marching through the streets and say “Oh my goodness! I’ve made a terrible mistake!” But I figure that taking no action means you don’t disagree. Marching at least shows that people care. I’m more than willing to march again if I have to. You can see more of my photos from the march on my Flickr account.